← Do you like fresh food? MY MOM had amazing hands. Though she was several inches shorter than I am, she had bigger hands. Often when we would be walking, pretty much anywhere, we would hold hands. Sometimes, just pinkies. From the time I was very young MY MOM always had her nails done. She had acrylic nails because, like me, her nails were very thin. Knowing that she had pale skin MY MOM never the woman to avoid drama loved red nail polish (sometimes she would opt for a french manicure but I digress). A darker red for winter and a brighter, more orange-red for summer time. She was always willing to try a new color, though I definitely think she could have bought stock in OPI Mrs. O’Leary’s BBQ (a frequent wintertime option). When people talked about MY MOM after her death so many mentioned her red nails, her beautiful hands. I think about them often. The silky skin, the acrylic nails, the beautiful jewelry, and, of course, the person to whom they belong. Not many know that in her retirement MY MOM was volunteering at Children’s Hospital of St. Paul. As a regular volunteer on of the requirements to protect the patients was not to have any artificial nails. Much to my surprise, off came the acrylic nails. MY MOM was committed to helping other people, even if it meant getting rid of her trademark nails. (Don’t worry, red polish was still an option)! That was the kind of person that she was and the mother I miss so fiercely. Over the weekend I got a mani/pedi. I haven’t had one in a long time. 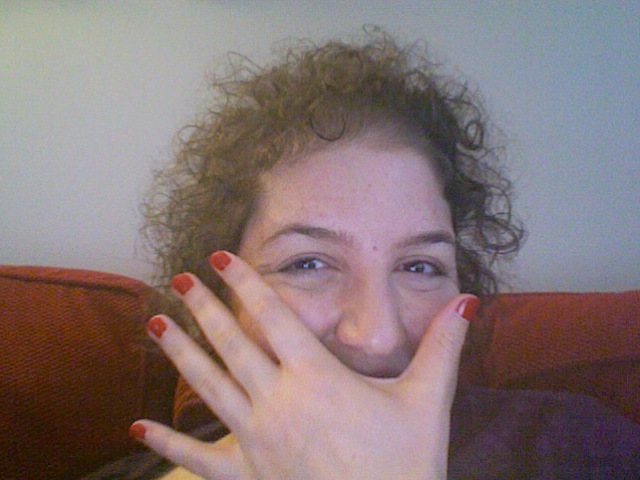 On a whim, I picked a red nail polish, a bright orange-red that MY MOM might have chosen for spring. Every time I look at my hands I think of her and I miss her so much. Dear Ellie, We buried our Mother yesterday. My Dad died 12 years ago and even though I am 66, it is hard to think of myself as an orphan. I have learned that it doesn’t matter what kind of relationship you have with a parent, they are still a parent. Your blog is beautiful and so are your nails.